These flags are used for marking construction vehicles and jobsite obstructions or hazards at airports. 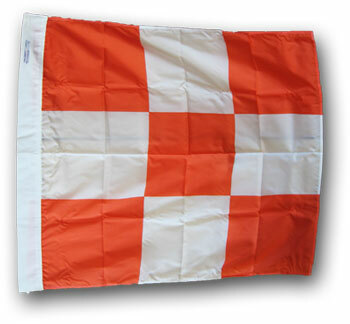 Our Nylon flags are made of 100% Nylon, finished with a pole band, and are intended for outdoor use. MADE IN THE USA!